Google minutes ago announced Asus-branded Nexus 7 tablet, although the image and specification leaked hour before the event started, the tablet features 7″ device running Android 4.1 and made by Asus. It has a Tegra 3 quad-core chip with a 12-core GPU, 1280×800 HD display. It also features WiFi, Bluetooth andNFC, with a 9 hour video playback battery life. It also has a front-facing camera. It weights 340 grams. 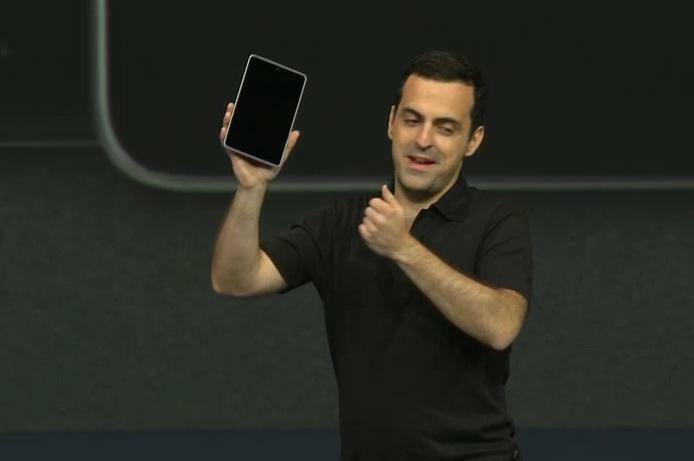 The tablet will stands for the power of nine hours of HD video playback and up to 300 hours of standby in a device. This is the first device that ships with Chrome as the standard browser. The Nexus 7 starts at $199 for 8GB with $25 credit for Play Store — 16GB model is $249. You can order starting today from play.google.com with the tablet shipping mid-July. Stay tuned with us, for all live coverage of Google I/O 2012 event, click here.